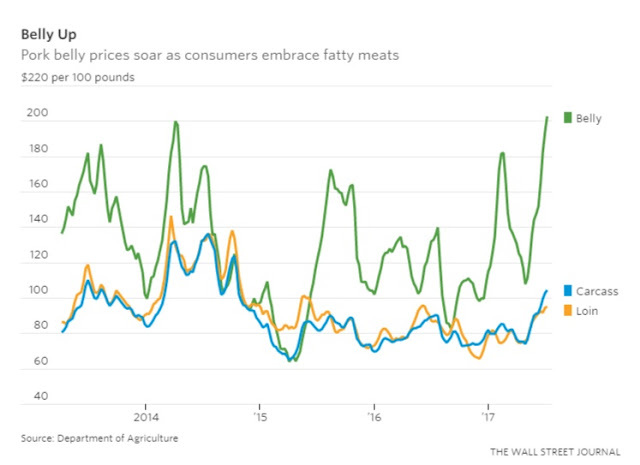 Prices for the part of a hog used to make bacon have risen around 80% this year. 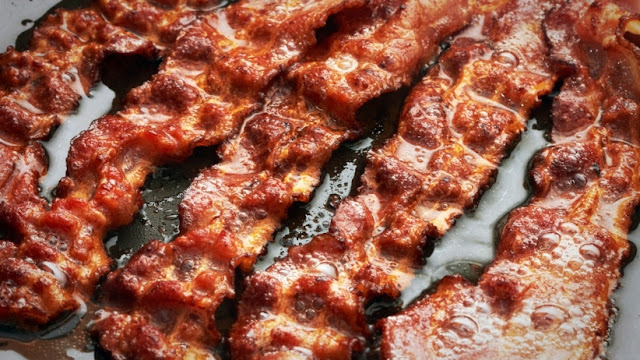 Americans bought around 14% more bacon at stores in 2016 than in 2013, according to market-research firm Nielsen. Damn I should have been watching that. I have been buying a lot more beef and bacon in the last 6-12 months. 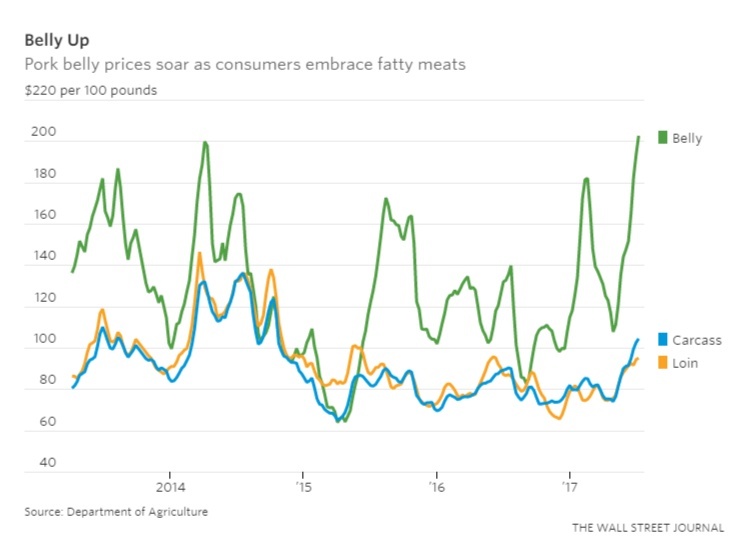 There are a lot of different cuts of beef go on sale for under $5 a pound, and pork shoulder (slow cooked pulled pork) routinely goes on sale for under $2 a pound. Wild caught fish is still the priciest routinely costing $15-20+ per pound. There's been a lot of stories floated in the media lately from certain elitist figures advocating bugs as a protein source for the plebeians. I suppose eating rats will follow that, and then their excrement. Kind of turns some of Upton Sinclair's fear mongering on it's head.